New York is an extraordinary place to elope. 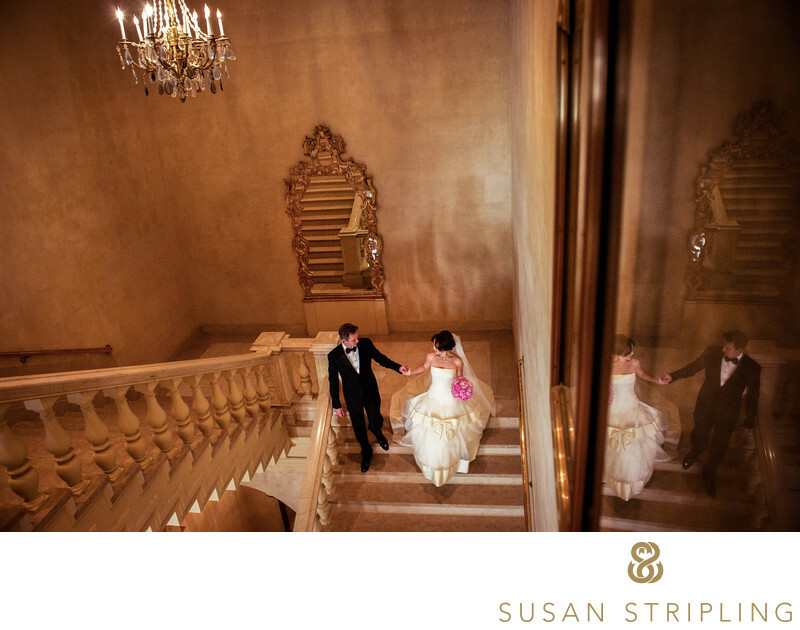 Whether you say your vows with the Manhattan skyline behind you or in the center of Central Park, in the office of the City Clerk or on the top of a skyscraper, New York is a brilliant place to be married. If you're considering eloping in Manhattan or Brooklyn, I've compiled this page of information to make your elopement experience as amazing as possible! Elopement photography, to sum it up briefly, is the same as wedding photography. While the guest count might be smaller (or non-existent! ), the day shorter, and the details simpler, an elopement is still a wedding day. There will still be beautiful, naturally occurring moments. There will still be portraits of the bride and groom. Most importantly, at the end of the day, you will be married. My job will be to document it for you with the same love, respect, and care that I give to every single wedding day that I photograph. The flow of the photography coverage will largely be dependent on the number of hours you’ve chosen to have documented. Our elopement coverage begins at two hours, and we have three and four hour collections as well. (Just contact us for details!) 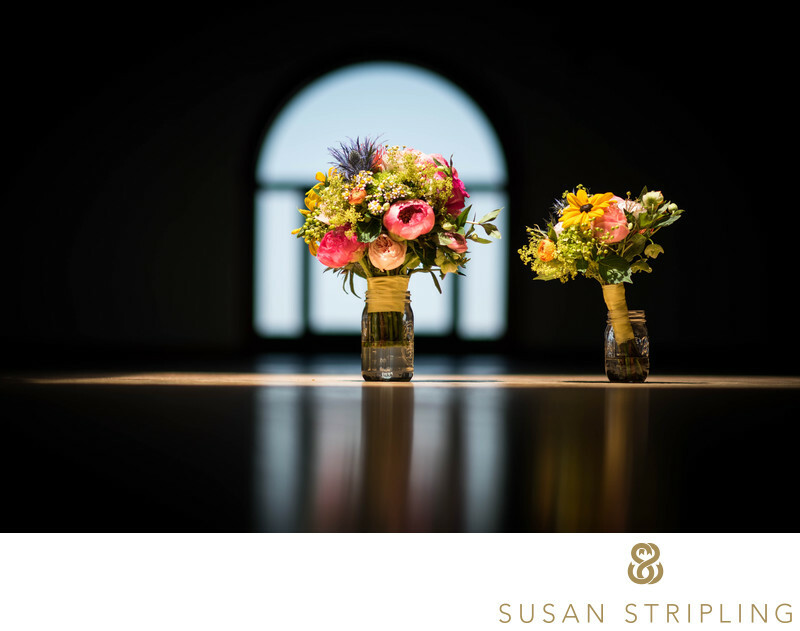 We will help you with your timeline as much or as little as you need, aid in choosing a location for your ceremony and/or portraits, and assist you as much as your day requires. If you choose, we can start with you in your hotel or apartment, documenting the getting-ready process. From hair and makeup to putting on your dress or suit, we can be there to create imagery as early in the day as you require. After you’re ready and see each other for the first time, we will travel to your ceremony location and document your marriage ceremony. We can take your wedding day portraits before the ceremony, or after. We can go to multiple locations for your elopement portraits, or stay in one place. 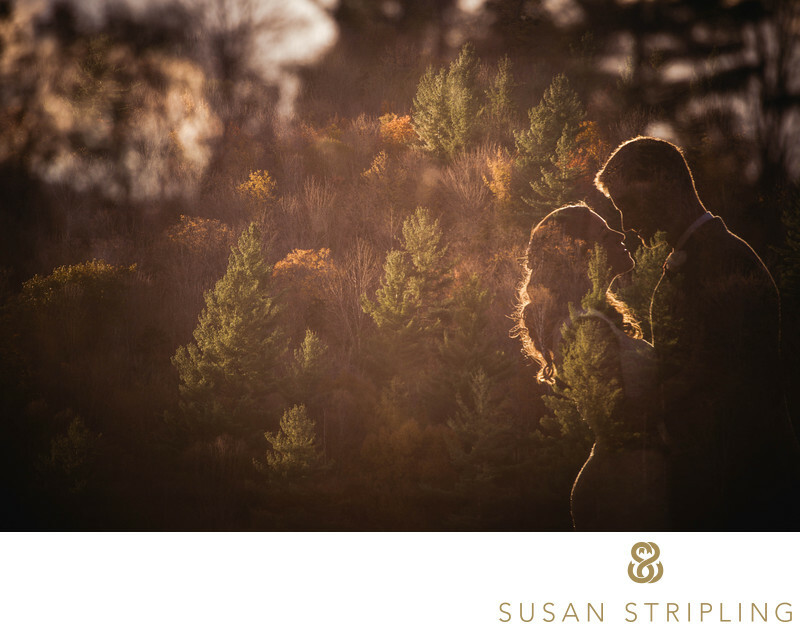 As you can see, there are a lot of decisions that go into crafting your elopement day timeline, and we can help you with those decisions as much as you need! 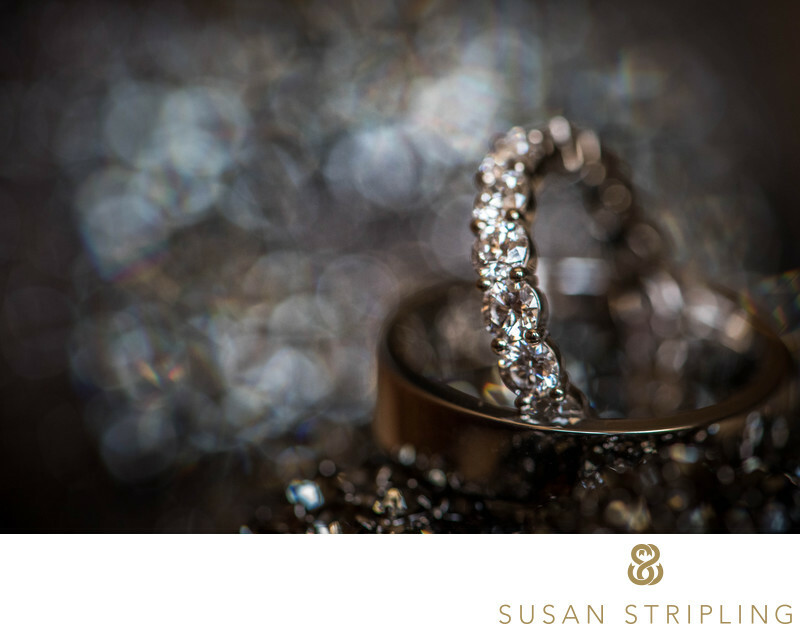 Since elopements are beautifully intimate events, the focus of the photography is truly on you together and your new marriage. I would love to hear about your plans and help create the perfect timeline for your day! How do we get married in New York? If you want to get married in New York State, you must first have a marriage license. You'll need to bring a money order or your credit card to the Marriage Bureau and pay the nominal fee for the marriage license. As of the fall of 2016, that fee is $35. Your license will be valid for sixty days, and can only be used within the state of New York. You do have to have a New York license specifically : you cannot apply for a license in New Jersey and get married in New York City, for example. You can start the application online and finish the process at the Office of the City Clerk. You must go the office together, at the same time, on the same day. No one may apply for your marriage license except yourself and your future spouse. Your marriage license will be processed while you wait, and you will be able to take it with you at the end of the appointment. After you have your marriage license, you need to wait twenty-four hours before your ceremony takes place…and then you can get married! When you start the application process for your New York State marriage license, you’ll need to have some specific information on hand. You’ll need your current address and name, your location of birth, and the location of your parents’ birth. You’ll ned to bring your Social Security number. You’ll also need to have your marital history with you, which will include any past marriage details, divorce decree information, and dates of divorces. To be safe, you might want to bring any divorce decrees with you to the office! If you have former spouse who is deceased, you will need to provide details about their date of death. While this seems like a lot of information, just come incredibly prepared and the process is relatively simple! You will have to bring a form of identification, such as a drivers’ license or passport. You will not need a blood test. You do not need a witness when applying for your New York City marriage license. If you are not a US citizen, you’ll need to make sure that your country will take a New York City license. You might need to apply for an apostille, which is a special stamp for your marriage license. To find out whether or not you will need an apostille, just call your consulate. Most countries do accept the regular NYC license, but checking with your consulate beforehand will help avoid any issues later! When most people think about eloping in New York (especially Manhattan and Brooklyn), they automatically think about heading to City Hall. However, you don’t actually get married at City Hall itself! You’ll want to go to the Office of the City Clerk : Marriage Bureau, where you can obtain a marriage license, have your marriage ceremony, or obtain the necessary paperwork to have your ceremony elsewhere while still becoming legally married in New York. To begin the elopement process in Manhattan, the Marriage Bureau is at 141 Worth Street. To being the marriage process in Brooklyn, the Marriage Bureau is at 210 Joralemon Street. The Marriage Bureau is open from 8:30am-3:45pm, Mondays through Fridays, except for holidays. If you’re not sure if it will be open on your wedding date, just contact them to check! The first thing you’ll need to do is obtain your marriage license. Once that is complete, you’ll pay a fee to have a marriage ceremony in the City Clerk’s Office. If you want to get your license and get married on the same day, you’ll have to obtain a Judicial Waiver. You’ll want to make sure you have plenty of time to be at the City Clerk’s Office for your elopement, as there are no appointments available for wedding ceremonies. It’s first-come, first-served, and the office can get crowded, especially on Fridays or around holiday weekends! Simply bring your marriage license to the front counter, check in, and you’ll be given a number. Now you wait! When they call your number, you’ll fill out paperwork at the counter, then wait a bit longer. You’ll then move to outside one of the two marriage chambers, wait again, and then move into one of the chambers for your ceremony. Bear in mind that the ceremony process is quick and efficient. If you’re looking for a more involved ceremony, City Hall/the City Clerk’s office might not be the best choice for your wedding. Often times, the wait time is long, but the ceremony time is short! It’s still a very efficient way to get married, but difficult to truly personalize and make your own. You’ll need to bring a witness to sign your Marriage License, and the witness will need to also bring proper identification. The witness also has to be over eighteen years old. I’ll be glad to be your witness if needed, just let me know so that I can make sure that I have my ID on hand! If a ceremony in the City Clerk’s office isn’t how you envision being married, there are so many other options for you! All you need is a licensed officiant, a witness, and the sky’s the limit! Want to get married in Central Park? You can. Want to say “I do” in Brooklyn Bridge Park? You can. 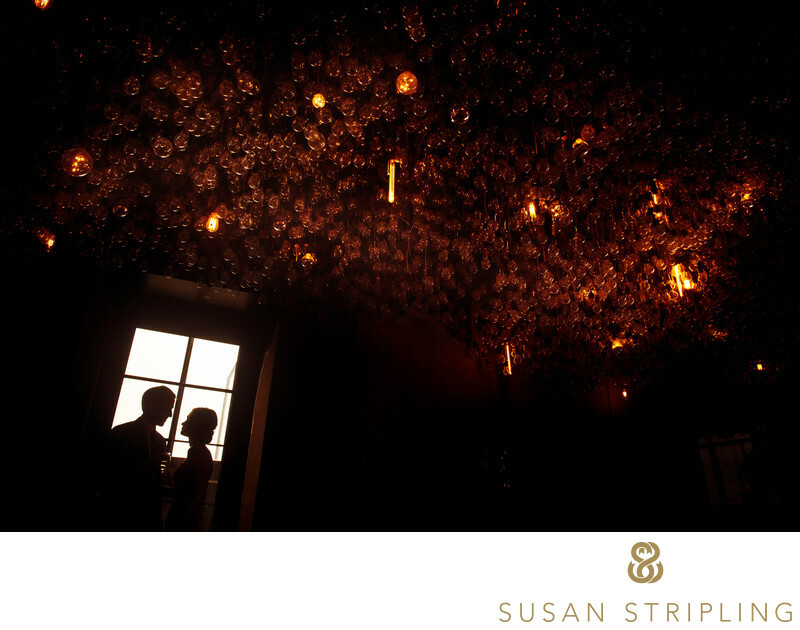 Your options really are limitless when you work with a registered officiant and decide to choose your own location. Your requirements to get married outside of City Hall are fairly simple. You’ll still have to have your marriage license and your registered officiant. You’ll still need your witness to your marriage license. Beyond that, you can generally get married anywhere! Many locations in Manhattan and Brooklyn do not require a permit to get married there. Some, such as the Conservatory Gardens in Central Park and Grand Central Terminal in Manhattan, do require you to have a permit. The permit will often depend on the number of guests you’re planning to have and how extensive your marriage ceremony will be. For New York City and New York State Parks, the permitting process varies park by park. In Central Park, Prospect Park, and many other parks, you’ll only need a permit if you have more than twenty guests at your ceremony. For state parks, such as East River State Park and River Park, you might need a permit for photography, for the ceremony, or for both. For public places in New York, you generally won’t need a permit of any kind. If your ceremony will have a large guest count (over 15-20 guests) you might…but you might not. 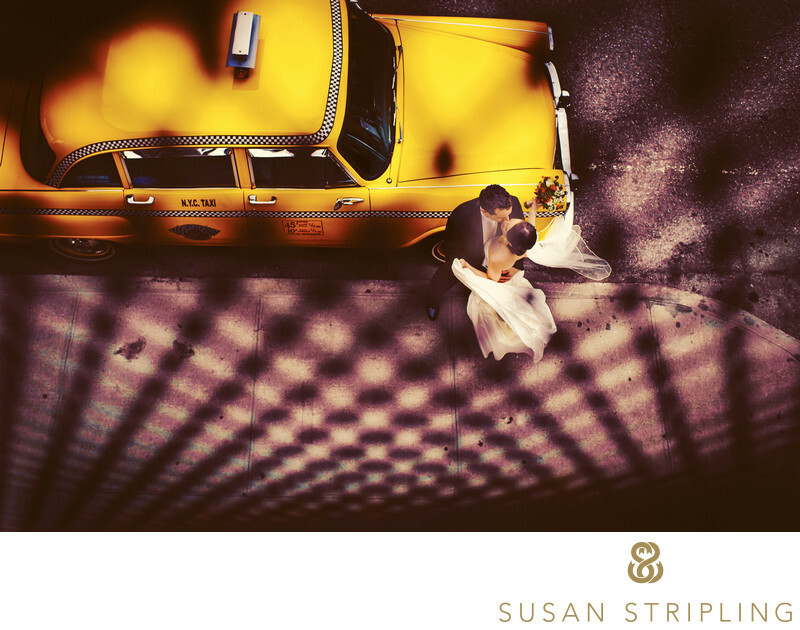 New York can be a tricky place to plan an elopement, but it doesn’t have to be! If you’re not sure, a quick search online will easily turn up permit information. I can help you with information as much as I can, but also bear in mind that permit requirements can change from year to year, and we need to make sure that your information is always current! City Clerk/City Hall : This is the classic standard of elopement locations! Quick, easy, and very efficient. Private/Not Crowded : Yes and no. For the ceremony, yes. In the hallways/main areas, no. Carl Schurz Park : Location on the Upper East Side, Carl Schurz Park is a hidden delight. Central Park : Central Park is a popular elopement location for a reason : it’s lovely. There are many locations here to choose from, from the Conservatory Gardens to the Ladies Pavilion, Bethesda Terrace, Bethesda Fountain, the Bow Bridge, Cop Cot, Belvedere Plaza, Summit Rock, Shakespeare Garden, Wagner Cove, Turtle Pond, or Gapstow Bridge. There are views of the city, gorgeous ponds, secluded nooks, vast meadows, and even wooded areas off the beaten path. If you’re trying to choose a Central Park location for your elopement, let me know the type of ceremony location you’d like and I can help you choose the best place for you! Private/Not Crowded : Depending on locations, yes and no. Fort Tryon Park : Lush, lovely, and secluded, this gorgeous park is near to the Cloisters. Very private, very peaceful. If you want your wedding to truly be an intimate affair in the beautiful outdoors, this might be the perfect place for you. Riverside Park : Located in upper Manhattan on the Hudson River. Top of the Rock : Unparalleled views and a unique experience! Private/Not Crowded : Truly dependent on day of week and time of day. Weekends, no. 620 Loft and Gardens : With spectacular views of Saint Patrick’s Cathedral and Fifth Avenue, this charming rooftop garden is a true hidden gem! Brooklyn Heights Promenade : If you’re looking for excellent views of Manhattan, the Brooklyn Heights Promenade would be an incredible place to be married. Who can marry us in the state of New York? To be legally married in New York City, you must either have your ceremony officiated by someone who has been registered as an officiant by the City Clerk. These requirements are for marriages performed in New York City only, including the five boroughs. It does not apply to anyone having a marriage ceremony elsewhere within the state. How will we get around the city during our elopement? You have many options when it comes to transportation on the day of your elopement. 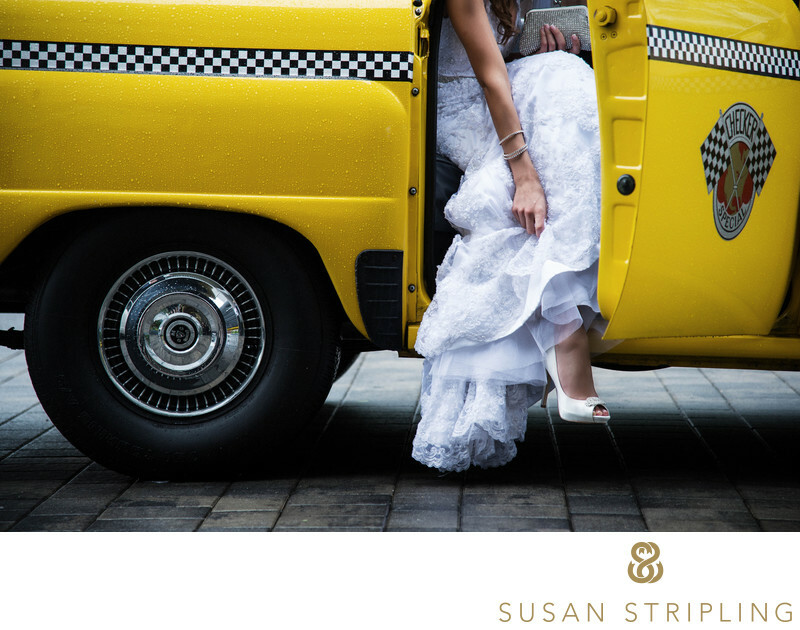 You can rent a vintage, authentic New York taxi for your wedding day. We can call an Uber every time we change locations. We can take the subway or the bus. We can walk. New York is a wonderful city when it comes to transportation, and oftentimes the transport becomes part of the photography of the day! We aren’t from New York. Where should we stay? More and more, clients are opting to stay in apartments via AirBnB. It’s a great alternative to a hotel, and can let you truly create a unique space for your wedding day preparations! We would like to take our family and friends out to dinner after the ceremony. Where should we have our elopement dinner? A great bar for after your wedding dinner would be Gallow Green. Can you help me find other vendors for our elopement? A videographer? Florist? Makeup artist? Surely! I have a wonderful list of vendors here. Everyone on this list is a wedding professional that I have worked with before, often multiple times. I trust each one completely, and know that you’d be in great hands with anyone from this list! Do you have any additional advice for us on the day of our elopement? Yes! 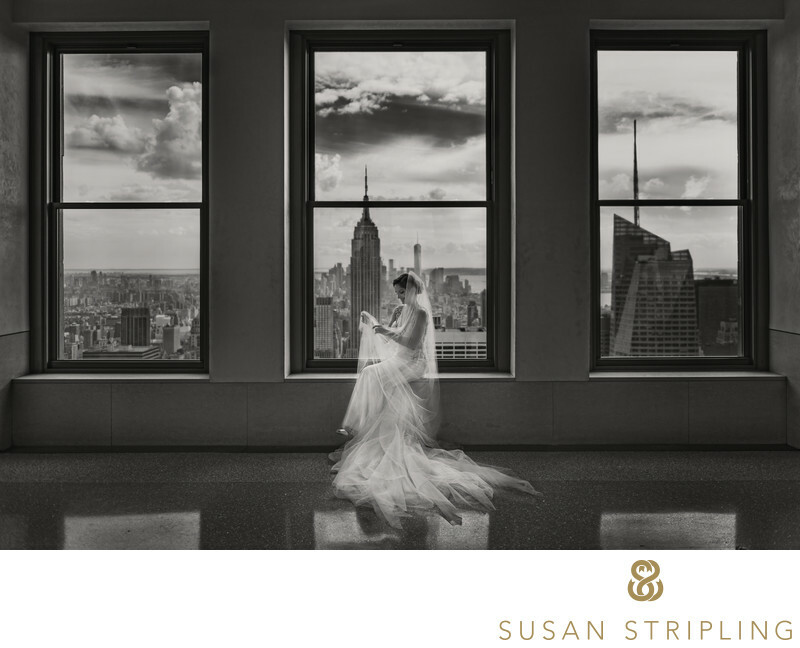 I have a quick list of helpful tips that I’ve compiled after years of shooting New York weddings! If we’re going to be doing a lot of walking, you might want to bring a change of shoes for ease and comfort. Try to minimize the amount of items that you bring with you, as we’ll have to carry all of our belongings…unless you have a car specifically following us around during the day. Leave plenty of time for travel between locations! New York traffic can be notoriously tricky and difficult, so make sure you’ve planned for traffic delays! What are your elopement packages? We have two hour, three hour, and four hour packages for you to choose from. We also have an a la carte list of albums and other add-ons, should you desire books, extra hours, or photographic prints. Please contact us and let us know about your plans, and we can help customize a collection just for you!